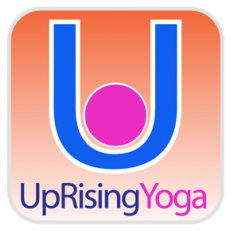 UpRising Yoga (URY) is a 501.C.3 non-profit organization established in 2011 by Founder/Director, Jill Weiss Ippolito. With a belief that yoga has the power to help heal individuals regardless of the setting, URY has been offering Yoga Life Skills Programs every Tuesday night to youth in at Central Juvenile Hall (CJH) since November 2011. URY staff have participated in monthly meetings with County staff to discuss the service needs of youth involved in both child welfare and juvenile justice systems, known commonly as “crossover youth.” As a result, URY also staged a special 2-hour empowerment program for the girls housed at CJH and has taken part in the “Each One Teach One” conference for transition-aged youth, held by the Department of Children and Family Services. URY was also honored to participate in the “Leadership through Survivorship” conference for Commercially Sexually Exploited Children (CSEC). These youth are of a particular focus for URY, which is why we are excited about the opportunity to work with not only the Probation Department but the DMH (Department of Mental Health) and Education. ​ UpRising Yoga staff received specialized training for teaching yoga to at-risk youth through the Trauma Informed Yoga Training and other specialized trainings. That training and our own experience resulted in the development of our own protocols that we distribute to our teachers to prepare them to work effectively with youth in classes in many settings, primarily high stress and trauma based. Our first fundraiser – “A Chance to Heal” was held on June 6, 2012. Los Angeles Supervisor Don Knabe highlighted our program on his website, and the Los Angeles County Channel aired a story on UpRising Yoga that was picked up on CNN and the Huffington Post. The population that URY serves is unique. Some are older foster youth, who have been in the care of the County for most of their lives. Some have committed crimes and are there as a result of a court order. Most are a combination of both, known commonly as “crossover” youth. While URY’s primary experience has been working with incarcerated youth, our mission is to reach at-risk youth wherever we can. We know that yoga can be of benefit to at-risk youth who are not incarcerated, particularly older foster youth and the CSEC girls. Yoga was created two thousand years ago. The physical postures or “asanas” were specifically developed to help a person create stillness in their body and control of the breath in order to prepare themselves for sitting meditation. Now, millions across the United States are practicing some form of yoga on a regular basis. The health benefits of yoga are well documented and far ranging. Practitioners have improved breathing, weight loss or gain (as needed), improved strength, flexibility, balance, and overall good health. Most also attest to a better outlook on life. Yoga has also been incorporated into therapeutic strategies. It has been used to address depression, anxiety, trauma and addiction. Yoga has been introduced to adults in state prison as well as to incarcerated youth, with very positive effects. In May 2012, probation staff reported that in the first seven-month period that yoga was introduced by URY, there were no violent incidents reported at Central Juvenile Hall. We have been very pleased by the number of youth we have been able to reach with Probation’s help and support. In the first eleven months UpRising Yoga has offered yoga at Central Juvenile Hall, we estimate that over 550 boys and girls have been introduced to yoga in 2012. We estimate that number has grown deep into the thousands of people we are able to reach. "This yoga program really helps me with my temper. Every time I get angry I think of the things the yoga instructors showed me and I use it to calm myself down." "Yoga has benefited me. It is a good way for me to learn how to relax and it helps me sleep at night." "Yoga helps me from top to bottom because I breathe better and I am not overly stressed anymore." Through UpRising Yoga Trauma Informed Trainings we have taught thousands of service providers, probation staff, social workers and yoga enthusiasts and instructors. In 2017, our Founder Jill Weiss Ippolito developed Yoga For Healing Trauma and brought Bermuda's first Trauma Informed Yoga Training to serve and connect the prison and foster home with the yoga community. In 2018, New Zealand, Australia, Michigan and two trainings in Los Angeles. 2019, Los Angeles and Scotland. "The moment you value yourself, the whole world values you." UpRising! SOshinsky V1 low res from UpRising Yoga on Vimeo. Uprising Yoga Heals from UpRising Yoga on Vimeo. Uprising T.V. Segment from UpRising Yoga on Vimeo. In 2011, 165 girls ranging in age from 12 to 16 years old were arrested on the streets of Los Angeles County for prostitution. These girls were forgotten by our society. All of them are runaways; most grew up in foster care. All of them looked for a place in this world in the worst of all places by falling under the influence of a pimp. These men use unspeakable cruelty to ensure these girls do their bidding. They are forced to take clients nightly until they meet quotas. It is estimated that one girl “earns” $600 nightly, and prostitution has been recognized to be a more lucrative form of crime than drug dealing. The American public mostly associates the prostitution of children as a problem that occurs overseas, mainly in Asia. But this despicable travesty occurs right here in the United States. According to the FBI, Los Angeles County is second only to Las Vegas as a place where child prostitution thrives. Child welfare authorities and law enforcement are only starting to understand the breadth and scope of this tragedy. The girls that were arrested last year are believed to be only a small percentage of a much larger group of exploited children. However, experts are confident that with the proper approach, these children can find healing and recovery from their extensive trauma. Los Angeles County is leading the country in the fight against commercial sexually exploited children. A dedicated unit is being established within the Probation Department that focuses solely on addressing the needs of these girls. Health care, therapy, a chance to heal, and an opportunity to build the immense inner strength needed to testify against their pimps. The practice of yoga could be integral to this process. It offers an easily available means to bring body and mind back into balance. If a daily yoga practice could be made available to these girls, it will change their lives and accelerate their healing process. Our goal is to establish such a daily yoga practice, to be incorporated with the other strategies being developed to help sexually trafficked children. Through yoga, they will be presented with tools for self-healing that they can carry with them throughout their lives, as well as a connection to a broader community. We are selling tickets to an event where funds would go towards mats and other needed equipment, as well as special training and stipends for teachers. The yoga program would be first operated within the confines of the juvenile justice system, but additional funds could be used to establish scholarships, allowing these girls to continue their yoga practice when they leave. "The trademarks, logos, and service marks (collectively the "Trademarks") displayed on this Web Site are registered and unregistered trademarks of Weiss, Jill its affiliates and others. You can view trademarks owned by Weiss, Jill on Trademarkia at this link: http://www.trademarkia.com/company-weiss-jill-3842676-page-1-2. Nothing contained on this Web Site should be construed as granting, by implication, estoppel, or otherwise, any license or right to use any Trademark displayed on this Web Site without the written permission of Weiss, Jill or such third party that may own the trademark displayed on this Web Site. Your misuse of the Trademarks displayed on this Web Site, or any other content on this Web Site, except as provided herein, is strictly prohibited."